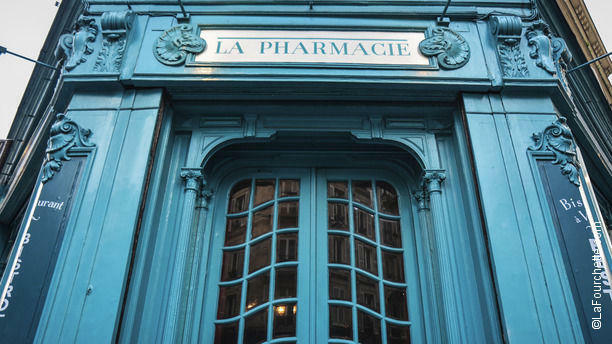 "La Pharmacie welcomes you to a former vintage pharmacy for a gourmet break just two steps from the place de la République. The beautiful blue color front invites you to push the doors and sit in a typical wooden bistro decor. The chef deploys the carte and menus with suggestions having sweet flavors of our campaigns or scented spices from elsewhere. This controlled diversity allows satisfying the most varied taste buds. For perfect dish and wine harmony, this wine bistro-bar offers you a broad selection of good wines. 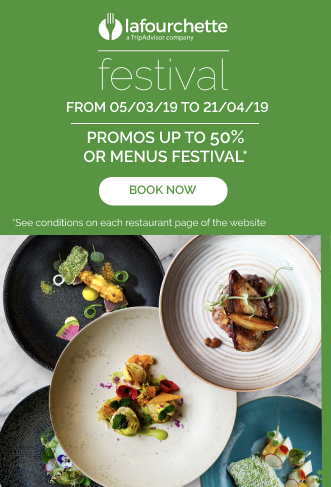 Gluttony and conviviality await you. Here is a location that will doubtlessly seduce you!" Very pleasant ambiance and delicious food, especially the chocolate and salted caramel mi-cuit desserts. Most quaint place in the area. Great food, great wine and great service. After my visit three years ago, the approach appears to have become routine. Of course it was mid-day Sunday but not busy like some places. The Spanish pork, recommended by the host, had plenty of flavour but appeared to have been heated up by frying. Lots of pan-roasted potatoes, common in France. Big letdown was the salad, with greens beginning to wilt. Nice overall, but not at the price paid. Sorry, because the service was very friiendly. We had a super nice evening! Everything was great, also the food, but my steak was a bit over medium, but still delicious! Will go there again for sure! Great place! Loved this restaurant! The food was great, the atmosphere really pleasant and the hospitality outstanding! Our server couldn't have been more helpful and nice (let us sample wines, spoke English, very accommodating) and we ended up coming back the next night with friends because we had such a great experience. This is a charming and handsome environment with welcoming, helpful staff. For example, we were given tastes of two wines to help us make a decision about which bottle to order. We had a reservation and were immediately given a choice of several tables. Unfortunately, the food is nothing special. None of the dishes were bad, but nothing was wonderful either. We found the food kind of bland and lacking seasoning. For example, the poivre vert sauce on my filet mignon should had more than 8 peppercorns and my partner's ceviche had no detectable salt. My mother returned her steak that was overlooked. My friend found her wild boar really salty. Lovely and charming place, really tasting food!! Lovely find in the back streets about 5mins walk from Place de Republique. Food quality was excellent small choice but well executed and fresh. This is a small restaurant with inside seating - staff were customer focussed and the background music easy on the ear. Would definitely recommend. Excellent meal. Service was great; very friendly, spoke excellent English, charming. Love this place! I had raved about it to my family and when they arrived from California, they insisted this be the place for their first meal in Paris!